Stella is back for a limited time! In honor of National Unicorn Day — yes, that’s a thing! — we’re bringing back our much-loved Stella the Unicorn Warmer for $55. But hurry, because this fantasy is fleeting! Sweet Stella is only available while supplies last. 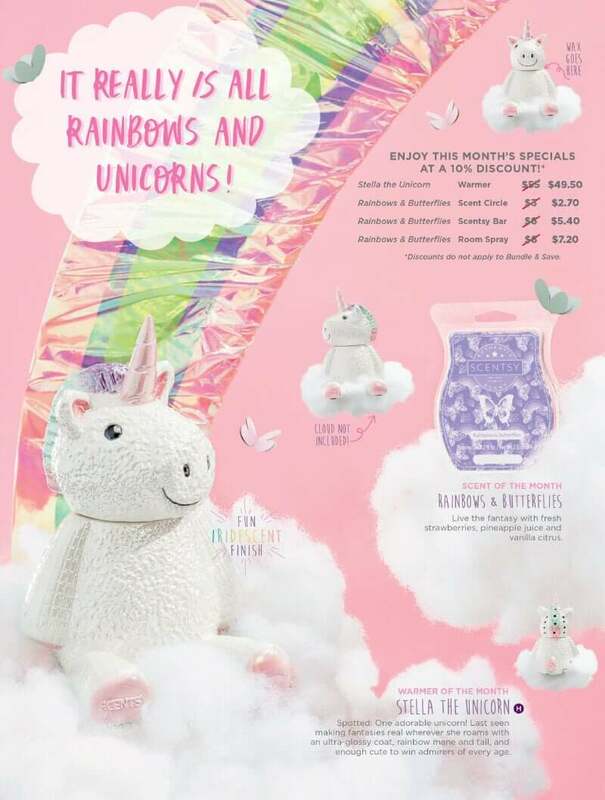 You can get your own Stella the Unicorn starting on April 8, 2019. It really is all Rainbows and Unicorns! Spotted: One adorable unicorn! Last seen making fantasies real wherever she roams with an ultra-glossy coat, rainbow mane and tail, and enough cute to win admirers of every age. Stella has an iridescent finish and will spread a little magic sparkle wherever you choose to put her! Available for $49.50 (a 10% discount during the month of July 2018). Normally $55. You can pre-order your own Stela the Unicorn and Rainbows & Butterflies with me today!